Features Belleek's Hand Painted Shamrocks. 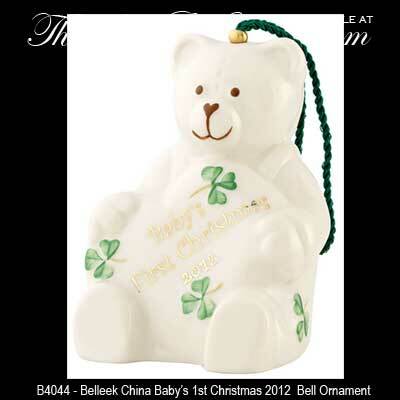 Belleek Baby's First Christmas 2012 Tree Ornament Bell. Features Shamrocks, 2.25" x 2.75" x 3.5".